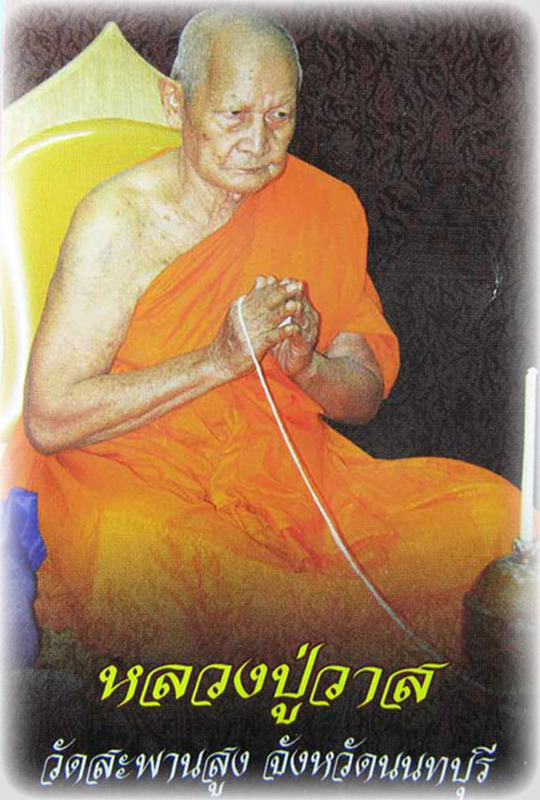 Luang Phu Waas (Now Deceased) was Abbot of Wat Sapan Sung, in Nontaburi. Wat Sapan Sung is a very Famous Temple which first became known for its powerful Pra Pid Ta, Hanuman, Pha Yant and Takrut amulets during the time when Luang Phu Iam was Abbot. Since then, three Generations of Masters have carried the Wicha of Making Pra Pid Ta, and Takrut amulets down from Luang Phu Iam, and now with Luang Phu Waas, the added Wicha of Hanuman amulets has been added to the list of powerful Wicha for which the Masters of this Temple are Famous for. Luang Phu Waas recieved the Wicha of making Hanuman from Luang Por Sun of Wat Sala Gun. LP Waas recieved Wicha of Pid Ta and Takrut empowerment from Luang Phu Iam, Luang Por Tong Sukh, and Luang Por Glin of Wat Sapan Sung (all 3), as well as receiving Wicha from other Masters such as Luang Por Sun (Wat Sala Gun). LP Suns Hanuman is given position 5 in the list of Thailands most preferred amulets of all time. 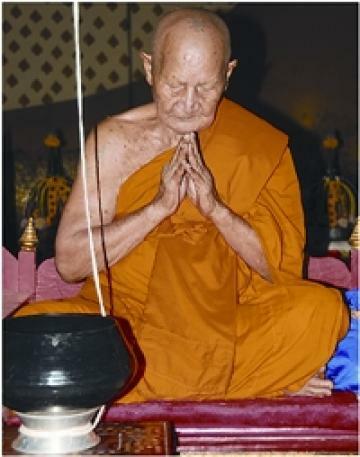 He also received various Magical Wicha from Luang Por Phan (Wat Intraram), Luang Por Jampa (Wat Salikho), and the Great Lay Master, Ajarn Plaek Roy Bang. LP Sun passed on the Wicha of making and empowering Hanuman amulets to Luang Phu Waas as he was still relatively freshly Ordained. 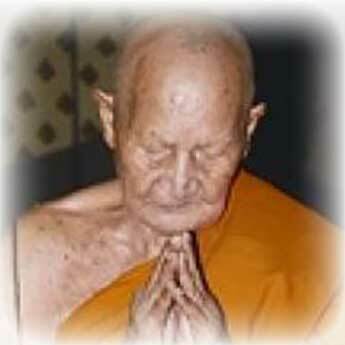 LP Waas was actually the Grandson of Luang Por Sun. He was given this Wicha the very first day he was Ordained as a Monk, for Luang Por Sun had travelled to attend the Ordination , and stayed to train and teach the young LP Waas for a while. 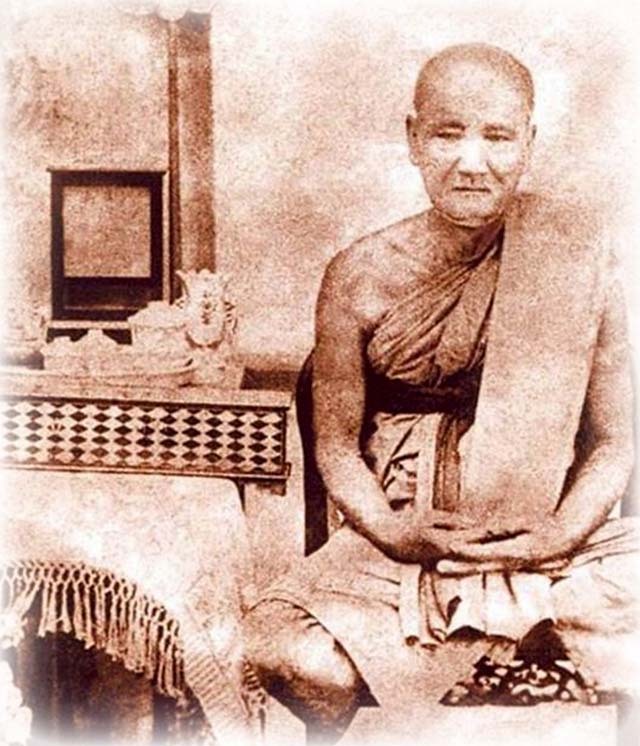 If you were to ask an expert about who was the greatest maker of powerful Pid Ta amulets, you would most certainly hear the name ‘Luang Phu Iam’, of Wat Sapan Sung, as one of the candidates.If you were to ask which Guru Master was Great in making Hanuman amulets, then you would hear the name ‘Luang Por Sun’ for sure, whose Hanuman figurines are of Legendary status. in fact, LP Suns hanuman is given position 5 in the list of Thailands most preferred amulets of all time. It can be seen to be most probable then, that Luang Phu Waas is the True continuation of the Lineage of Mastery of Luang Phu Iams classic Pid Ta and Takrut Amulets, as well as the Wicha of Luang Por Suns Hanuman, and Pha Yant. He also has made for the first time ever a series of Bia Gae amulets which his Devotees have waited over 20 years for. It was 20 Years aqgo that Luang Phu had performed the making of liquid magical Mercury using the old style self blowing method of furnace, and chanted the whole series of Kata for empowerment himself, 84 times as is traditional with Sacred Buddhist amulet making such as in the case of Pra Somdej amulets, which must be made in numbers of 84 thousand. The number 84 represents the number of ‘Pra Tammakhant’ (Buddhist Suttas). He empowered the Mercury 84 times and has been giving it magical charge over the last 20 years. he has now used it to insert into the Bia Gae amulets which have been released along with the 2554 BE Pra Pid Ta Sao Ha, and Hanuman Sao Ha edition amulets. Luang Por Waas has begun to enter the public eye increasingly lately, as his own amulets begin to become noticed for their powerful effects, and a new Master of Wat sapan Sung appears to be making Headway, and standing out from the shadows of his fore-bearers. The Legend of Wat Sapan Sung Continues….